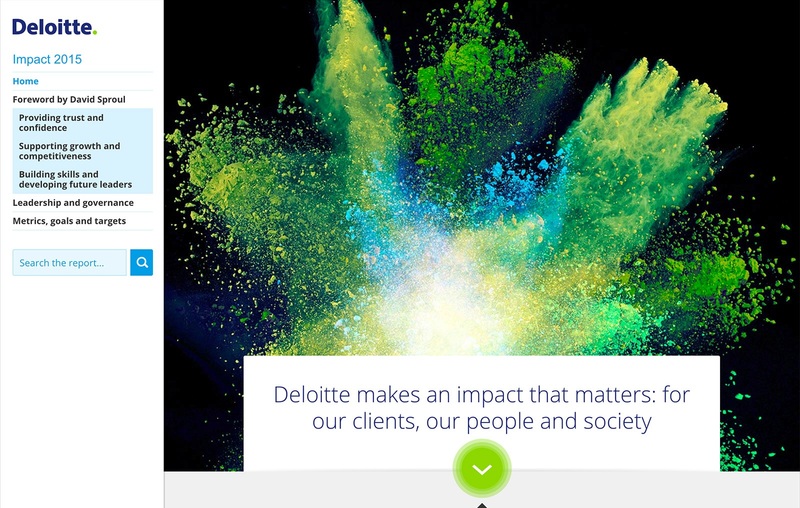 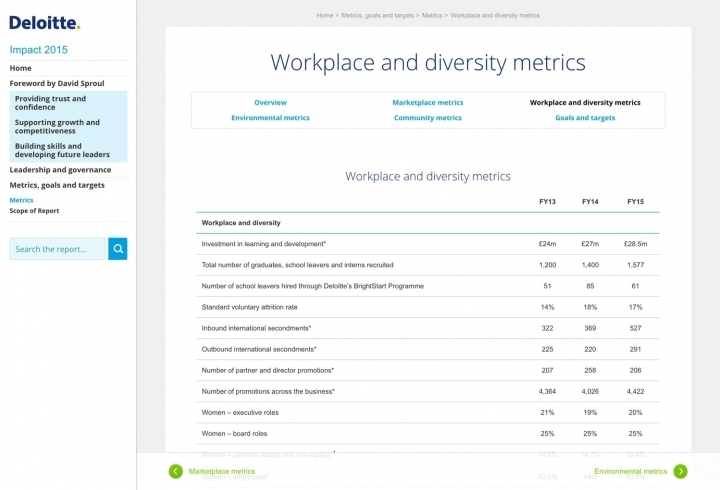 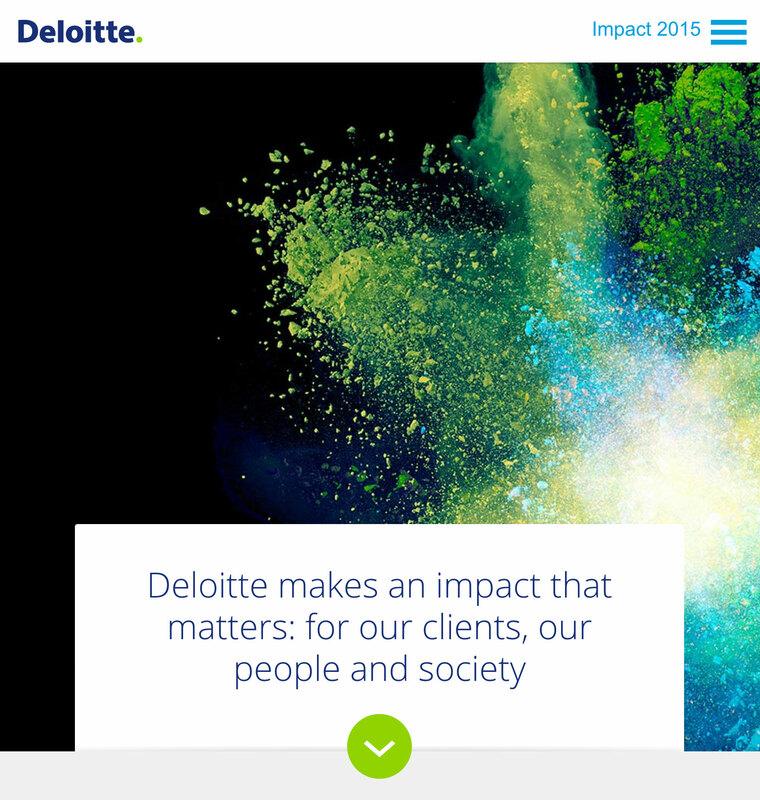 For Deloitte’s 2015 impact report, we built on the success of previous years. 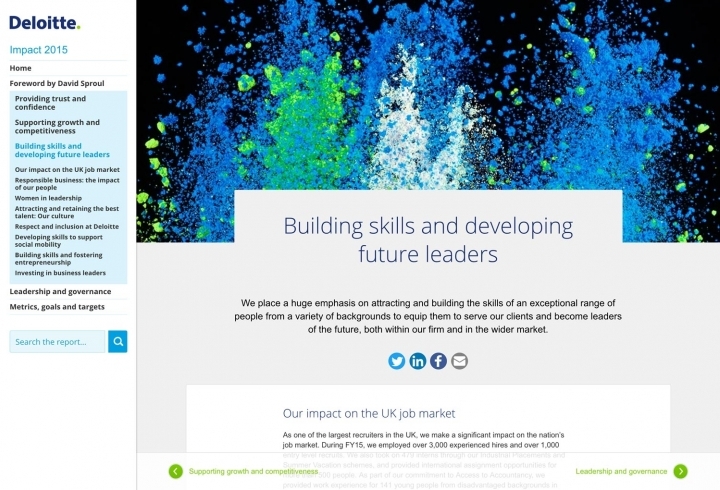 Keeping the same structure as 2014, we focussed on developing the way readers navigate and engage with the content – ensuring they can fully explore the case studies and stories. 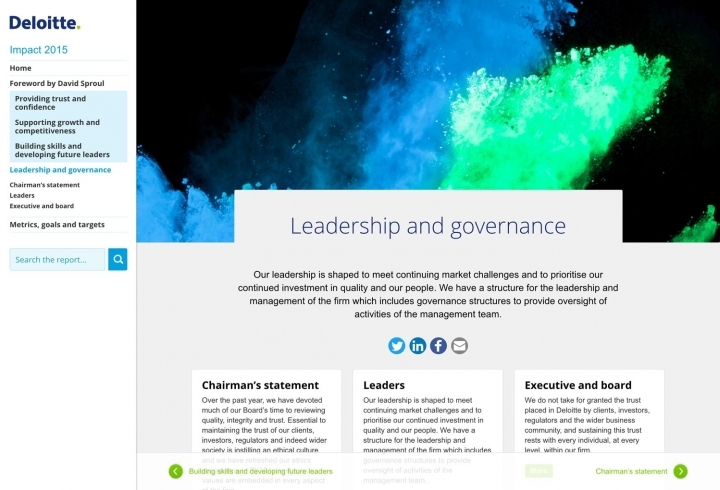 But delivering projects that seem straightforward can still be challenging. 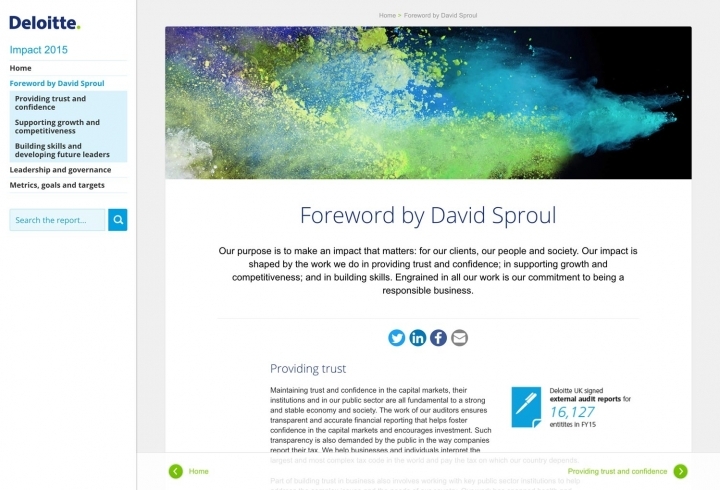 We continued to adapt page layouts right up to the launch date as content went for the approvals process. 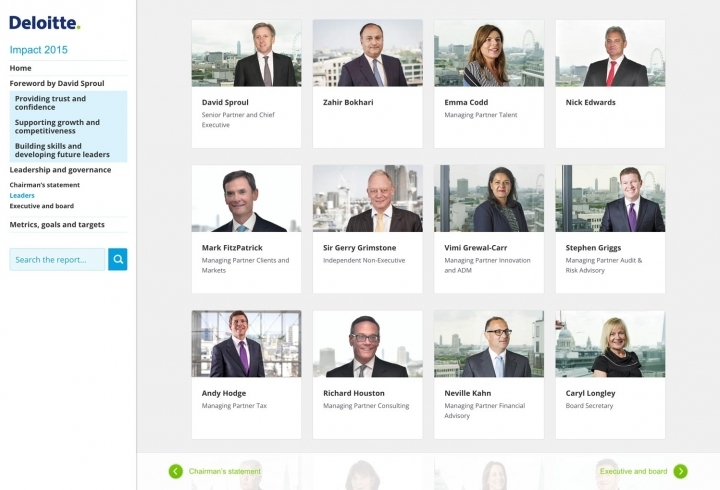 Building flexibility into the preview sites ensured we could accommodate even last-minute changes without delaying the project. 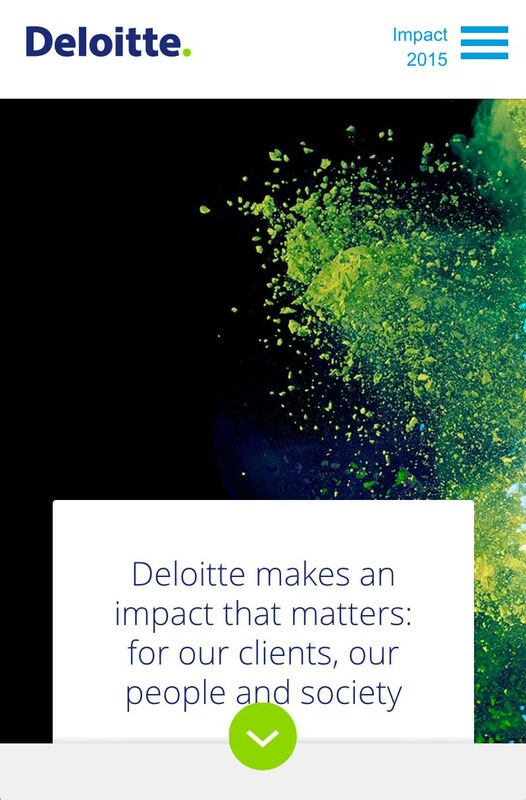 The following year’s report proved even more demanding as we started from scratch to showcase Deloitte’s revamped brand identity.